Are you looking for limo hire in Dudley? Finishing Touch Cars can help. With more than 30 impressive hire cars in our fleet, you are bound to find at least one to suit your needs. Perhaps you are looking to surprise a loved one on their birthday? If so the Lincoln Stretch limo or the Range Rover Look limo could be ideal. Or maybe you have a hen party to organise? The Hummer limousine is perfect for nights out. For weddings the Baby Bentley is a great choice with its romantic and traditional style. As you can see, whatever your needs we have a limousine to suit them. We aim to provide our customers with the highest quality service at the lowest possible prices. Want something to add a bit more class to your wedding day, but need a range of vehicles to choose from? We can offer a variety that many others can’t. Our wedding car hire options range from vintage convertibles to modern saloons, our fleet of wedding cars in Dudley is one of the best. With our professional customer services and chauffeurs, we can guarantee that you will be helped every step of the way. And if you’re not sure of which wedding car to go with, you are more than welcome to come visit our showroom to view each and every one. Hummer limo hire is one of the most modern types of limo hire available in Dudley. If you are looking for something fun and impressive then the American Hummer is just what you need. We have four different types of Hummer in our collection. It doesn’t matter what the occasion, our great Hummer hire packages can be tailored to suit you. The most popular reason why people choose to hire out the Hummer is to have fun on a stag or hen party. You will struggle to find more affordable Hummer limo hire in Dudley. Contact Finishing Touch Cars today to find out more about our Hummer hire packages. Known across the globe for their luxurious interiors and bold-looking exterior, Rolls Royce car hire offers everything to make any occasion extra special. Over the years, innovation and quality has allowed Rolls Royce to set themselves further apart from any other competitor. 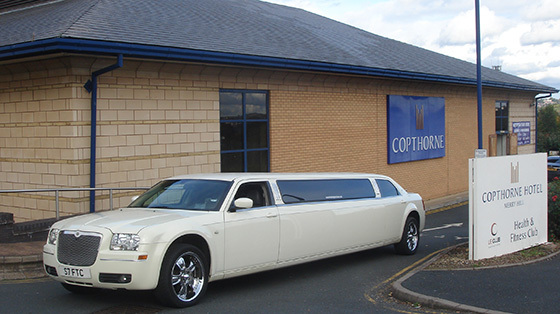 Rolls Royce car hire in Dudley is most popular for weddings. The models we have include Rolls Royce Phantom, Ghost and Drophead Convertible. Our Phantom car hire service has been established for many years and we have many satisfied customers over the years. Please feel free to check our testimonial section of our website. Dudley is quite a big town situated in the West Midlands. It’s known to be the second biggest town within the UK and it is the biggest settlement within the country that doesn’t have a university. Very recently in early 2012, Dudley tried to claim city status but failed. It lost out to Chelmsford. If you are looking for a place to take the whole family while you are staying in Dudley then the Black Country Living Museum or the Dudley Zoo and Castle are two great places to head to. The museum will provide you with a more cultured day out, while the zoo is a nice family attraction suitable for children of all ages. 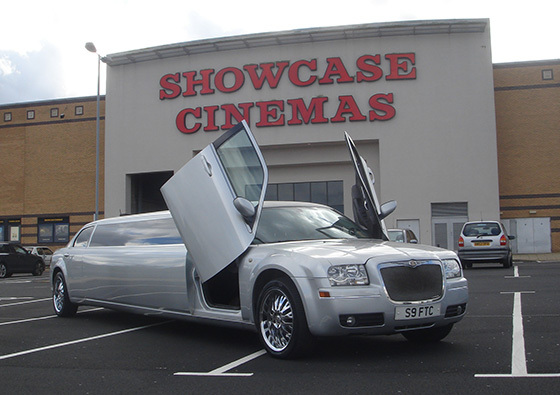 What better way to make your way around the town than with limo hire Dudley? These days limos can be hired out for absolutely any occasion. Whether you are getting married at one of Dudley’s impressive venues, or whether you simply want to enjoy a relaxing afternoon at a local spa; limo hire can help you to get there in style. 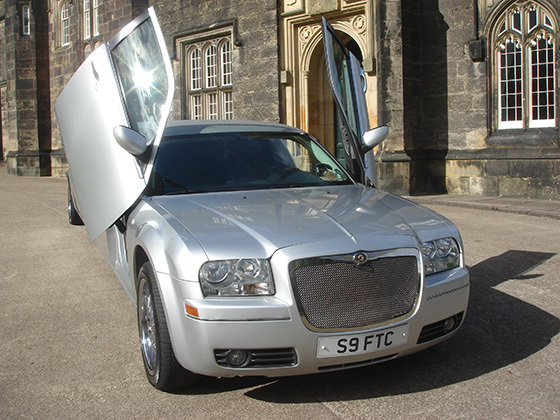 You can contact us today to see what types of limo hire Dudley packages we have on offer. You can save a lot of money by choosing a specific package. Dudley heralds a wealth of industrial history and is also known today as one of the best places to go for ‘eating out’ in the Black Country. Originating from a small village at the foot of Castle Hill, today, Dudley is host to trendy fashionable bars and clubs as well as great nights out for art and theatre. The Dudley Concert Hall and Stourbridge Town Hall has provided the most fabulous backdrop for world class concerts for a number of years. It is no surprise with the busy social scene and thriving businesses in Dudley today that Bentley and Hummer Limos along with Wedding Car hire has proven to be very popular in the area. Dudley is also home to the most exciting cabaret acts in Britain, performing in many of its clubs. And on the subject of clubs you are not short of choice with dance music, discos, comedy and night clubs to suit all tastes. 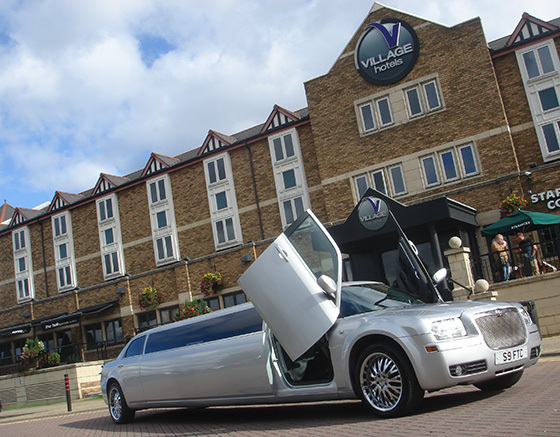 With our limo hire we can give you the perfect stylish addition to your evening in Dudley whether it be for a night at the theatre, concert , club or for a private celebration! Dudley – Dudley is a very popular area that we cover regularly as well as the local areas including Titpon, Quarry Bank, Netherton, Brierley Hill, Upper Gornal and Lower Gornal, Cradley Heath and Old Hill. When looking at venues to host your wedding or just the reception, you want something well-known and the best at what they do, to make your day the most memorable. There are many places to look at in Dudley – whether you want to go all out in luxury or go for a small ceremony, there are many choices to go for. Dudley Registry Office, better known as Priory Hall is an 1825, Grade II listed building and formerly sat the Earls of Dudley – so if you’d like a small but historic ceremony, this is the one for you. Set in its many acres, it also has the St James Priory Ruins, which are a great setting for wedding photographs. They have two suites which you can choose from – the Castle Suite or the Priory Suite – these can accommodate between 20 and 60 guests. We have the perfect vehicles that would go with this venue, which include the Beauford Tourer or our Daimler Limousine. Even if you wanted to go for a Modern twist to your day, there is ample room for even our biggest vehicles, which include our Rolls Royce Phantom and our Hummer Limousines. If you prefer a more modern setting, which is slightly more accessible, then there’s The Village Hotel. Whether you wanted to have both your ceremony and reception at one place, or just your reception, they offer a wide range of wedding packages. These wedding packages can include the Red Carpet on arrival, hiring of their Banqueting Suite and even a complimentary double bedroom for the Bride and Groom. 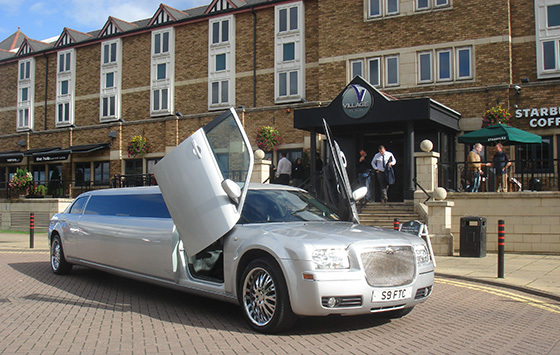 As for the accessibility, The Village Hotel offers a huge amount of parking space, which helps if you have lots of guests, including if you choose our bigger vehicles for your wedding day transportation. Along with an excellent reputation, The Copthorne Hotel (Merry Hill Dudley) is rated a four-star hotel, and has a dedicated team to help you throughout the planning process for your wedding day. It’s Earl and Caslon Suites are licensed to hold civil ceremonies, and either room can be subdivided to cater for smaller events – whereas the Earls Suite can usually seat between 300 and 500 guests. They also allow the use of their lawn, which overlooks the canal marina, for photographs and drinks receptions. There is ample amount of car parking spaces for your guests and other vehicles have plenty of accessibility, even if you were to choose one of our more prestige vehicles, like the Rolls Royce Phantom, or our luxury limousines. From the Black Country Museum to Castlegate Park and Dudley Zoo, there is always something to do! Whatever your age, there’d never be a quiet moment here. The Black Country Museum is situated on a small stretch of the regions canal system, which allows businesses to transport heavy goods during the Industrial Revolution. All the buildings at the museum originally were from surrounding districts. They were dismantled, transported and then reassembled to create the image of a working village back in that era. There are many different places to look at while you are there, including an authentic chemist shop which include original chemist supplies, a local pub and a fish & chip shop that cooks your food in dripping. After a long day, why worry about driving home, book a limousine to take you and your family! Our choice would be the Lincoln or our stylish Baby Bentley limousines. They’d keep the kids happy and make it even more memorable! If you love animals, or ruins of an old castle why not visit Dudley Zoological Gardens. Opened in May 1937, on Dudley Castle grounds, the 40-acre zoo has plenty to offer, including its 12 listed buildings, 200 different species of animal which are mostly endangered and has undergone a £1.15 million refurbishment in 2011. The zoo is a great day out for all the family, especially for children’s birthdays. It is very well known and easy to get to as it is based on The Broadway (A459). Why not let your feet have a rest, as just walking around the zoo will tire you out enough! A big hit with the kids, and a well earned rest after a day of walking around the zoo, our limousines are available any day of the week – from our Baby Bentley limousines, Pink Hummer or our Range Rover. We have a sized limousine for any party group. If you’re just looking for somewhere that just has everything you need for a day out, why not try Castlegate Park, with Bowlplex, Showcase Cinemas and its many different eateries there’s no need to go anywhere else, and it’s all within walking distance! Even if you’ve never been to the area, why not stay over at the Village Hotel? There is ample amount of parking space and the different choices of food, which includes Nando’s, Frankie & Benny’s and even the Bostin Fittle pub. Having a birthday party for 11 year olds or younger? Why not choose our Frankie & Benny’s deal, which includes our Baby Bentley limousine and we book the table for you! Looking for a night out on the town, but somewhere that you can spend your cash and win some back? Castle Hill Casino is the place where your dreams of winning can come true! With the friendly but vibrant environment, that serves great food and a varied range of drinks that suits everyone. From Roulette, Blackjack and Slot Machines, there’s fun for everyone and even those who don’t know the games, then there’s friendly staff on hand to help. Why not make it a night to remember by booking one of our limousines to take you there in style with our Range Rover or Silver Double Axle Hummer Limousines would make you feel like a star! If you’re just looking for a quiet night out, why not try the Brewers Wharf? Simply seconds away from the Merry Hill shopping centre, it would put a lovely end to a hard days shopping. Situated on an old steel foundry and overlooking part of Dudley’s canal system, the Brewers Wharf is a great feature to a modern landscape with its new and old exterior. They offer a wide variety of food and drink choices, and even have a separate menu for people with certain allergies. The Crooked House should be at the top of anyone’s list to visit. It was built in 1765, originally as a farmhouse, which it later became a public house called the Siden House (Siden meaning crooked). Its name came from mining in the 19th century, which has resulted in one side of the building being 4 feet lower than the other. With the pub being isolated, just off the B4176, the use fresh and local produce is key to create their lovely food, which adds to the overall charm of the pub. Are you searching for affordable pink limo hire in Dudley? If so then look no further. Our impressive pink Hummer is one of our most requested limos. Whether you’re celebrating a birthday, a hen party or if you simply want to hit the town in style – this is the perfect limo for you. It’s not always easy to find cheap limo hire in Dudley. You need to think about your hire needs before you find a good deal. How many people are travelling? What time of year are you planning on using limousine hire? These things will all contribute to the cost. Contact us today to discuss your requirements and to receive a competitive quote. Choosing the best wedding limos in Dudley can be a huge task. You need to think about the venue, your wedding theme, whether you want classic or modern cars, how many people will be travelling with you and what your budget is. Contact us today for a quote on any of our 30 different wedding limos and cars..